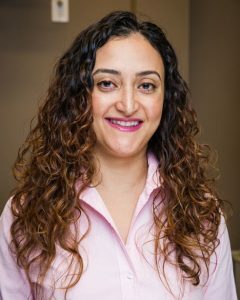 Dr. Forouzandeh (Vida) Alavi attended the University of Washington in Seattle on a full scholarship where she completed her bachelors of science in Biology. Dr. Alavi obtained her doctor of Optometry degree from the Illinois College of Optometry, graduating with clinical honours. She practiced in Chicago until she met her husband and subsequently moved to British Columbia. In her spare time, Dr. Alavi enjoys hiking, camping and trying new restaurants. Dr. Alavi is also fluent in Farsi and Spanish.